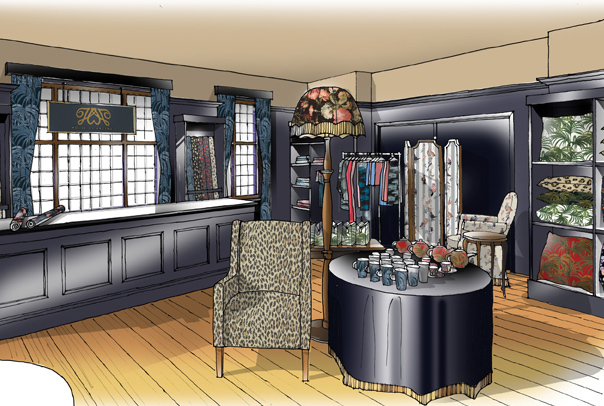 The success of fashion and lifestyle brand, House of Hackney, continues to grow with the opening this week of a new shop inside Liberty, the venerable department store on Regent Street, London. Located on the fourth floor, the House of Hackney shop offers the brand’s full range of fabric and wall coverings, together with gift items, such as wash bags and china, and key items of furniture. House of Hackney has a strong relationship with Liberty - Liberty being one of the first stockists to carry the brand. 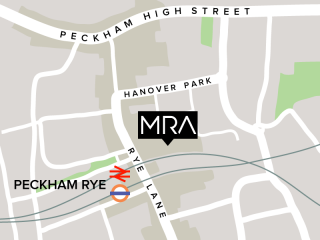 Following the design of a successful pop-up shop-in-shop in 2012, MRA is now delighted to have designed House of Hackney’s first concession in Liberty. MRA has successfully translated the traditional Victoriana style of the brand's Shoreditch High Street store, to the more intimate space within Liberty. With its vibrant prints and signature midnight colourway furniture, the concession nestles perfectly within the Tudor revivalist architecture of the Liberty building.